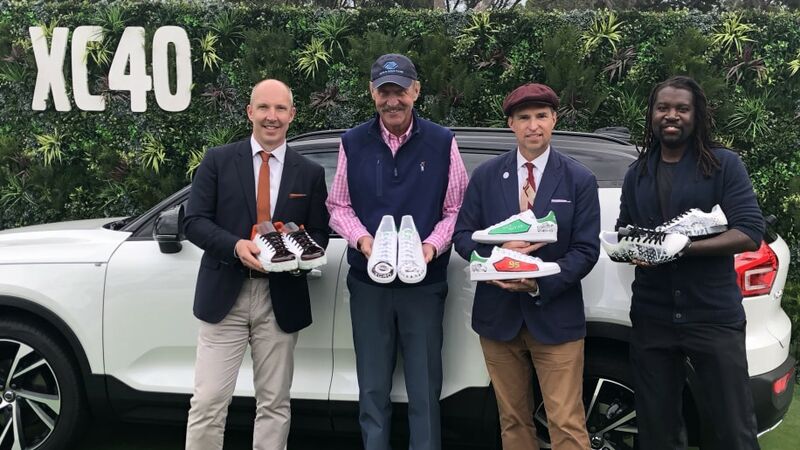 Over the weekend at the Hilton Head Concours d'Elegance "Flights & Fancy Gala," sponsor Volvo teamed with resident Hilton Head tennis superstar Stan Smith and a group of artists to customize five one-off pairs of Smith's eponymous and iconic white leather Adidas sneakers. These shoes were then auctioned off in order to raise money for the local Boys & Girls Club. The inspiration for the designs was the Swedish brand's lovely XC40 compact crossover. Customizers included Pixar designers Jay Ward ("Cars") and Jay Shuster ("Wall-E"), Savannah College of Art and Design professor Amiri Geuka Farris, and Volvo design head Robin Page. 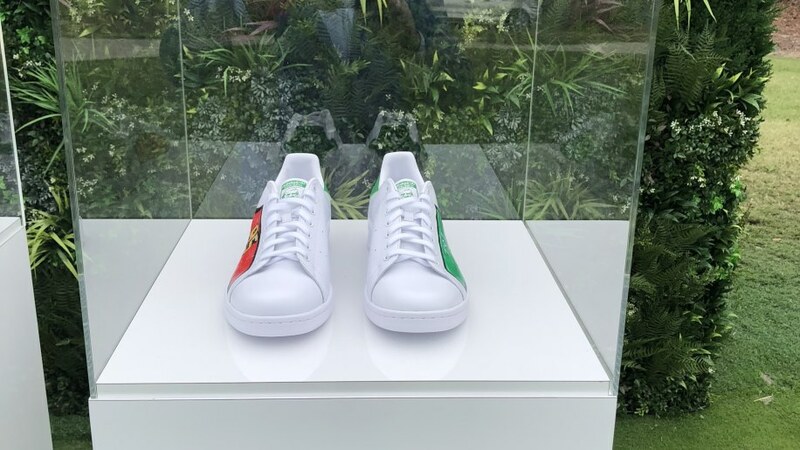 Smith was also on hand to regale the crowd, and to sign copies of his new book "Stan Smith: Some People Think I'm a Shoe." The auction raised thousands of dollars to support afterschool and summer programs. There is a clear precedent for car companies commissioning artists to modify their vehicles — think of BMW's nearly 50-year Art Car campaign, or smart's collaboration with designer Jeremy Scott. But why shoes? "At the launch of the XC40, we actually compared our crossover product strategy to shoes," Volvo's design director Page told Autoblog at the event. 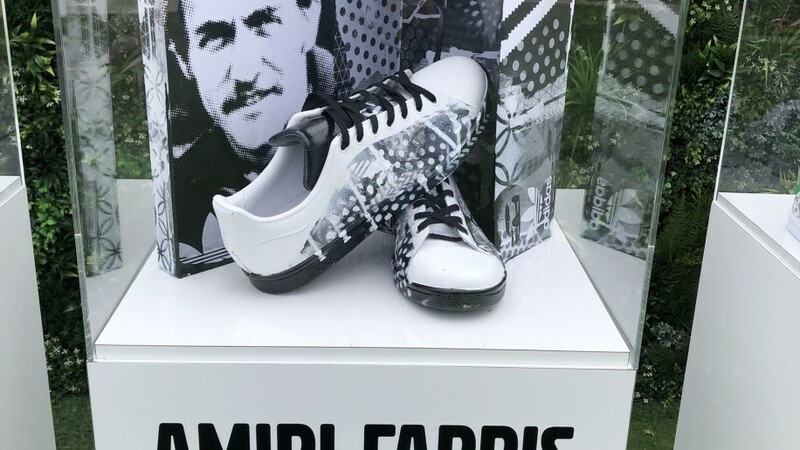 "One approach to a product lineup like this is to take the same black shoe and make it in a large size, a medium size, and a smaller size. That isn't the Volvo way. Our way is to make very different shoes for very different uses. So our XC90 is a black dress shoe for more formal occasions. Our XC60 is like a suede shoe you could wear with jeans and a jacket. And our XC40 is like sneaker or trainer, with a more sporty character." The guys from Pixar did do a Cars-style interpretation of the XC40 on one of their shoes, complete with windshield eyes and air intake mouth. 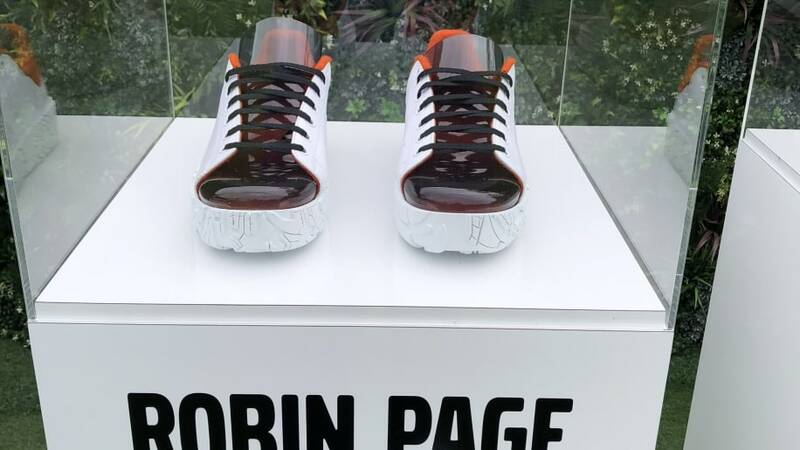 But, while the other designers were more abstract in their interpretation of the SUV's inspiration, Page took that sensibility quite literally in his own sneaker. "I'm a car designer," Page said. "Of course my design is going to be more connected to the car." This was quite evident in looking at his design. The tongue was a clear black plastic piece representing the black roof and sunroof of the rugged trucklet. The ankle surround and interior was crafted from of the same orange "lava" felted fabric available on the door cards and carpets of the CUV, made from recycled plastic bottles. 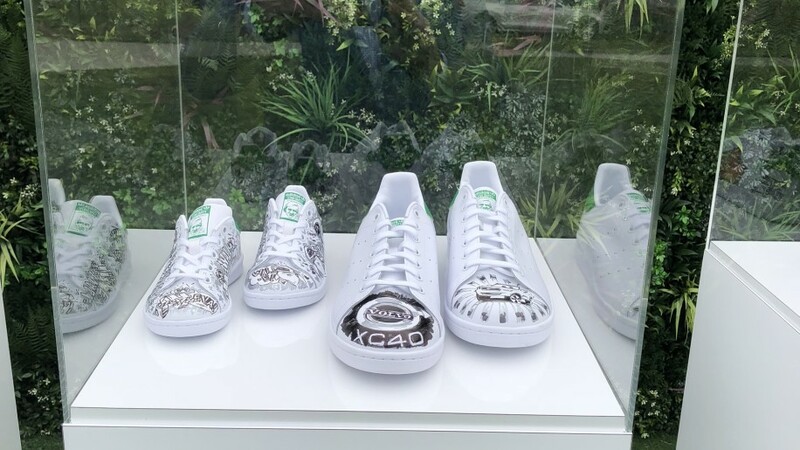 And the sole was a 3D-printed map of Gothenburg, Sweden, where the brand has been headquartered for more than 90 years — a design that is available on the dash trim of the XC40 in Europe. "These elements are meant to reflect some of our core values," Page said. "Our roots and history in Gothenburg. Our commitment to recycled materials. And our fondness for clear yet subtle graphic statements in our vehicles' design. Also," he added, "our intent to be a bit playful and fun."